In case you’re looking for something a little brighter, this non-toxic and durable Wooden Tool Box should fit the bill. 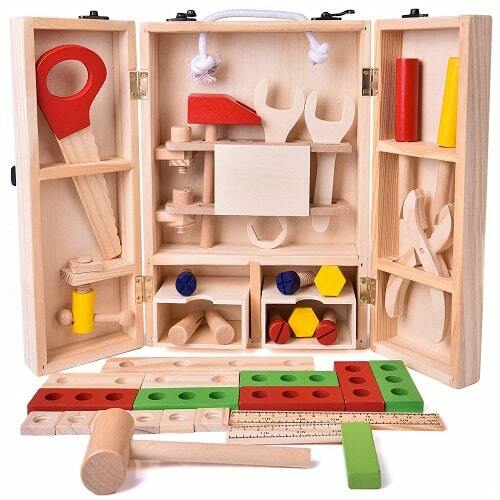 This awesome toy for 3-year-old toddlers contains 43 pieces, including a hammer, wrench, screwdriver, ruler, saw and various wood toolkits etc. This toy helps bring out your child’s creative side, making pretend play easy! It can also strengthen the parent-child relationship.